To order a printed copy of the JV - River and Coastal Cruises brochure, simply click the Request button below. You can download the JV - River and Coastal Cruises Brochure instantly as a digital iBrochure [?]. View the JV - River and Coastal Cruises Online Brochure Now! 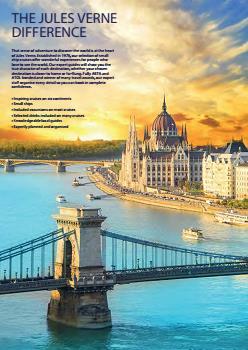 Jules Verne invites you to explore their exciting collection of river cruise holidays. 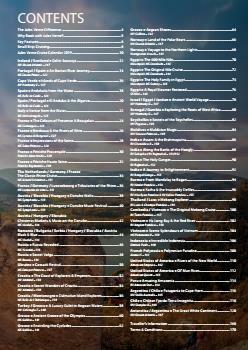 Request the brochure today for inspiration on your next adventure! 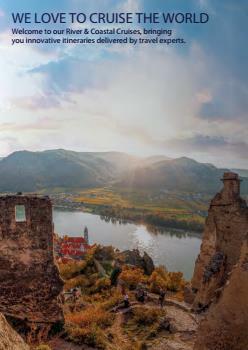 Tempting itineraries along incredible worldwide rivers offer one of the largest and most varied river cruise programmes available. In contrast to larger and more formal ocean liners, river cruisers rarely accommodate more than 150 guests - many significantly fewer. Often with shallower drafts, these cruises enable you to explore further than on larger ships. See Venice from the water with an enchanting cruise through the incredible lagoon or take a river journey from Paris to the coast of Normandy through the magnificent scenery that inspired Impressionist painters. Departures up to December 2020. Request the Jules Verne - River and Coastal Cruises Brochure today for all the latest news and offers on hair-raising adventures! 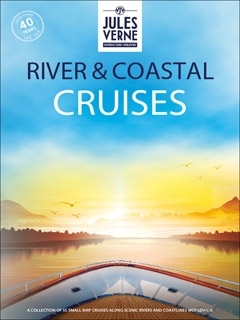 JV - River and Coastal Cruises Brochure Elizabeth M. said: This is something we are looking at for 2 years time when my husband retired so wanted to see how a river cruise compares with ocean cruises which we have enjoyed in the past. It's almost the weekend! These are our opening hours over Easter. By pressing the Request Printed Brochure button you give consent to JV - River and Coastal Cruises (and their Data Processors for the specific purpose of delivering your literature) to send you their Brochure .